Caneel Beach on Thursday. (David Knight Jr. photo). 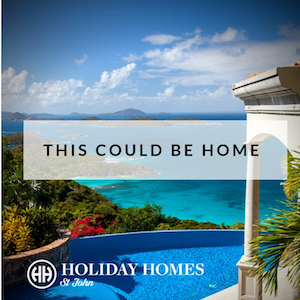 CBI Acquisitions, the holding company of Caneel Bay Resort, has no intention of greatly expanding the footprint of the iconic St. John hotel or selling its interests in the property if a bill moving through Congress becomes law, according to CBI principle Gary Engle. 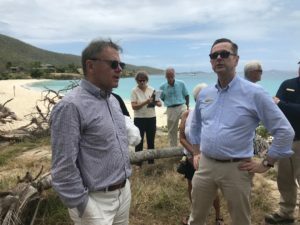 Engle made the remarks Thursday to government, community and media representatives who were invited to tour the storm-ravaged resort, which in normal times contributes approximately $65 million to the St. John economy and employs over 400 people. The bill in question, h.r. 4731, was introduced in December by Delegate Stacey Plaskett. It proposes a six decade extension of the agreement between the resort and the National Park Service that allows the resort to operate on park land. The bill introduces a rental fee to be paid to the federal government, where previously the resort paid none. The proposal has sparked community debate. Some have applauded Plaskett’s bill for its efforts to speed up Caneel’s reopening and thus jolt the V.I.’s recovery, while others have expressed reservations about what a 60-year extension of CBI’s stewardship of public land will mean for the future of the property, and for St. John. (See related link below: Plaskett’s Caneel Bay Resort Bill Sparks Community Questions). On Thursday, Engle said any fears that CBI will use the extension to cash-in by immediately selling its interest in the property, or by introducing dozens of more rooms during its rebuild, are unfounded. He said the company isn’t going to bring in a chain management company or introduce a timeshare model either. Caneel Bay Resort principle Gary Engle (left) and marketing director Patrick Kidd (right) on Thursday. (David Knight Jr. photo). According to Engle, it is not only the St. John community that has expressed a desire to keep Caneel Bay’s footprint small and relatively eco-friendly. He said the same issue has been brought to him by members of the Rockefeller family, who want to preserve the legacy of resort founder Laurance Rockefeller, and who Engle said he speaks with frequently. Laurance Rockefeller founded the resort in 1956 with the aim of proving that commerce and conservation can coexist in tourism economies. Little has changed physically on the property since the 50’s, although under a succession of post-Rockefeller owners the resort has ceased to be a vehicle for funding nonprofit conservation projects. The resort nevertheless touts “green-friendly” programs and products including biodegradable food containers, the recycling of glass bottles, and low-voltage light bulbs. A hand-out distributed by management Thursday states that the resort consults with the V.I. National Park on everything from window replacement to the paint color of buildings and signs. Engle said none of the “re-envisioning” plans being considered for the resort post-hurricanes propose anything more than 150 to 175 rooms. Prior to being all but destroyed in September 2017, the resort had 166 rooms. About 30 of those are currently habitable, and have mostly housed disaster relief workers since the storms. 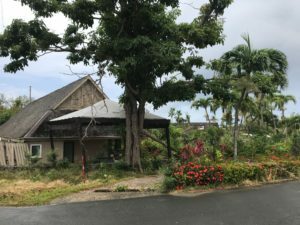 Engle did say there is the potential that a few of the resort’s “upland” rooms will be converted to employee housing, and a few more beachfront rooms could be added, potentially at Honeymoon Beach. He added that although the agreement the resort seeks to extend technically allows for 250 rooms, a number negotiated by a previous owner, CBI sees that number as impractical. On only about two days per year were all of Caneel’s 166 rooms typically booked, Engle explained. As for restrictions on how CBI can rebuild the resort, Engle said that the resort’s agreement with the government does not allow for peaked roof buildings over 35-feet tall or flat roof buildings over 25-feet tall. Plaskett, who attended Thursday’s tour, has faced some community criticism over perceptions that her bill is too generous to big business interests, even though many on St. John count on Caneel’s speedy return. Plaskett said that to leave the future of Caneel to negotiations between unknown entities and the National Park Service, or even to force the current resort owner back to the table, is a gamble for St. John. Previous attempts by CBI and the NPS to come to a lease agreement, she said, dragged on and eventually broke down. On Thursday, he expanded on that a bit. He said it took two years after a law was passed allowing for negotiations for the park to provide a memorandum of understanding to be signed by CBI. It took another year and a half for the first draft of a lease to be presented. Engle characterized that draft as one that “no operator could fulfill.” He said it was filled with the “wish list” of multiple departments within the Park Service. As negotiations continued, Engle said he became frustrated with the length of time — sometimes up to six months — that it took for each section of the lease to be reworked, and the fact that often times “decision-makers” for the NPS were not present during negotiations. “This carried on for some time until I realized we had spent a fair amount of money just to try to get to a happy place,” Engle said. 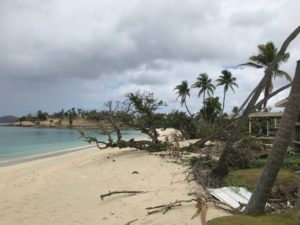 In between the change in U.S. presidential administrations and Hurricanes Irma and Maria, CBI decided to try an alternate route: the extension of the retained use estate the resort has operated under since the land was donated to the NPS in 1983. Then September’s storms hit, and Plaskett’s bill helped make that proposal a real possibility. Engle said CBI was just beginning — 13 years after purchasing the resort from Deutsche Bank — to see a return on their initial investment in the property when the hurricanes struck. In order to make a new investment of approximately $100 million, Engle said, CBI needs a long-term agreement, not the current one slated to expire in 2023. He said only about 60 percent of the rebuilding costs are expected to be covered by insurance claims. “A day less than 60 years and I’m not interested,” said Engle. He added that he could guarantee that almost every private sector developer would say the same. As for complaints that have been raised in recent months about the resort’s relationship with community — some residents have said publicly they feel management is less neighborly than in the resort’s early years, and that employment there has become less desirable — Engle said he wants to make sure they are addressed. “Anything that screwed that relationship up, shame on me if I let that happen,” he said. The St. John community will have an opportunity to address Caneel management on any questions or concerns at a town hall meeting being hosted by Sen. Brian Smith on April 30 at 6 p.m. The meeting will be held at the St. John Legislature Annex. Although Engle said he will not be present, Caneel’s Executive Director Brad Dow will attend.